Being a good manager is hard. It’s really hard. You’re constantly juggling tasks and emotions, delegating employees, and more - all whilst being a good example at the same time. Find out how you too can be a better boss, with the help of Singapore manpower agency, BGC Group. 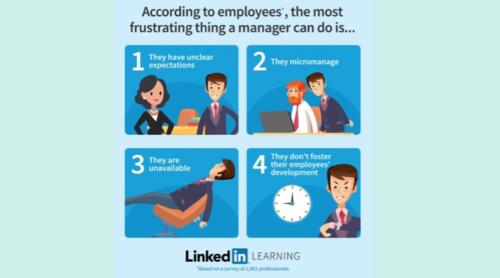 A recent Linkedin Learning survey of over 2,000 employees, discovered that most professionals find a manager with unclear expectations the most frustrating. This is followed by a micromanaging manager, an unavailable manager, and a manager who refuses to foster the various talents of their employees. The consequences of a frustrated team can be disastrous. Unmotivated employees can lead to productivity issues, poor customer service and recovery measures, and general apathy for the job. The most important a leader can do is establish their expectations clearly. Do you want your company to grow by 25% within the next quarter? Identify them and define your expectations for your employees clearly. You should note that if you can’t pen your expectations down on paper, then the idea isn’t clear enough for your employees to follow through. Micromanaging - is the number one killer of employee engagement. In a recent survey conducted involving 2,000 employees ranked ‘micromanaging’ as the worst trait that a boss can have. For those unaware, micromanaging is the process which managers essentially take over the role their employees do. For instance, instead of letting your junior barista make their own latte art, you choose to improve the quality of the art produced by making it yourself. Not only does it kill your own productivity, but it also kills the employee’s motivation and inspiration. 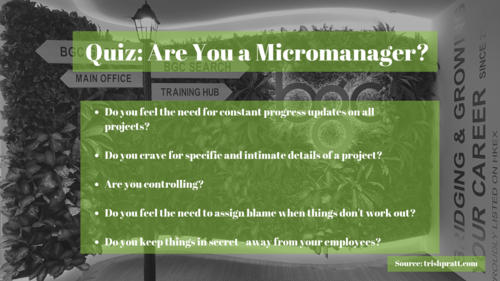 Curious to find out if you’re a micromanager? Take the quiz below to find out more! If you answered yes to two or more of the traits above, then congratulations! You're a micromanaging boss. According to Forbes Magazine, one way to quit micromanaging is by simply trusting your team more. Bosses who practice the art of micromanaging usually don’t believe that their employee can finish a task as well as them. Remember that in order for your team to learn and grow, they’ll need to feel a failure and learn from a strong leader who is willing to openly discuss the main lesson learned. 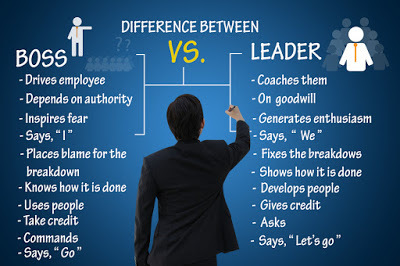 Guide your team by coaching them, not steering them unwillingly. As a manager, it sounds almost impossible to meet your own goals and be available for your team at the same time. But in an organisation, employees will want through ideas, issues, and solutions with you during work hours. Just like how bosses who micromanage create stressed-out employees, a distant and absent boss create unsupportive employees. - Keep communication lines open: You may not be around in the office to provide guidance but let your employees know that you’re available to answer their inquiries either via phone or email. - Hold weekly communication or coaching sessions: David Schnurman, CEO of Lawline and FurtherEd suggests holding weekly coaching sessions. One way to do this is by getting the various employees to fill in a Google Sheets form with their accomplishments, challenges, and issues that they’re stuck with - before scheduling a meeting to help them overcome their challenges. Alternatively, managers can also spare a few minutes of their time at the beginning of the week discussing the various reports, numbers, and praises the employees have earned throughout the previous week. - Make time for regular check-ups: Need to keep track of your employees progress? An easy way to do this (and make your employees feel closer to you) is by scheduling an informal chat with your employees. Invest five minutes of your one on one time with individual teams to find out more about their progress (or lack of)! If you must know, a quick five minutes to check up on your employees is better than an absent boss. - Delegate mentoring roles to successful employees: Sometimes, all an employee needs is to build relationships with successful employees, to keep themselves on track. Why not choose to promote employees that excel at their various jobs as mentors to help their peers out? Your employees will also thank you for the relationship building opportunity as well. 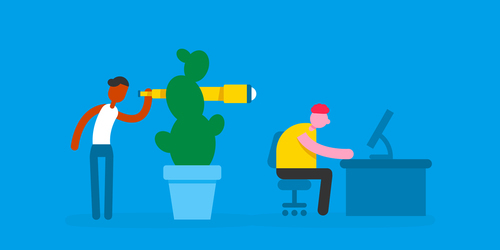 As a manager, your employees will be looking up to you to help develop their skills. To do this, Martha Duesterhoft of Talent Management and HR claims that managers need to be better coaches instead of managers. It's not uncommon to hear people use the term 'managing' and 'coaching' interchangeably. The main difference between managing and coaching is this - managers oversee their employees and work, whilst coaches influence and develop their employee's strength and skills through effective communication (source). To be a better coach, communication is essential. Allow your employee to take the initiative to ask for better coaching by asking open-ended questions. During the conversation, you should guide the employee to the specific areas of priorities. Don't forget to squeeze in some advice when your employee opens up to you about several problems or issues they're facing. Training is essential - but it's important to identify the areas that your employees would like to be trained. The best way to do this is by encouraging and having open-ended conversations with your employees. Are you guilty of any of these managerial sins? Let us know in the comments section below!